Once in a while you need to break out from your normal routine to discover new experience and enjoy different food. Thanks to my relentless colleagues who were out to get me for lunch every Friday (I swear, they timed it with their calendar), I found myself surrounded by the lovely ladies from the marketing department for some great Cantonese fare at the Fullka Restaurant. Never heard of Fullka before? Well, neither did I, until that afternoon. Apparently this place was off-radar for most foodies, which was apparent by how not full it was during lunchtime on a working weekday. Further investigation revealed that this restaurant was previously named Home Wanchai (does that sound familiar?) and was helmed by Chef Lee Yue Ching of ‘Ah Yat Abalone’ fame. The set lunch was a steal at HK$88, where you get soup, one main course with rice, and a dessert. Since the main course is rather large in portion, you can go with a few friends so that you can mix and match from its extensive menu of true Cantonese food. And so on to the lunch. Hand’s down, the best starter soup I have ever tried in Hong Kong (and that’s saying something). 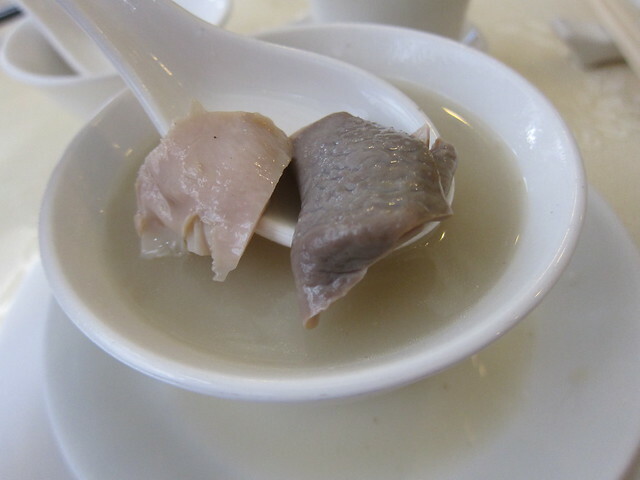 The soup was intense with peppery taste and was well balanced with the meaty goodness of the excellent pig stomach. The soup burns down as you drink it, in a very comforting way. It was such a perfect, fiery soup for a cold winter day.